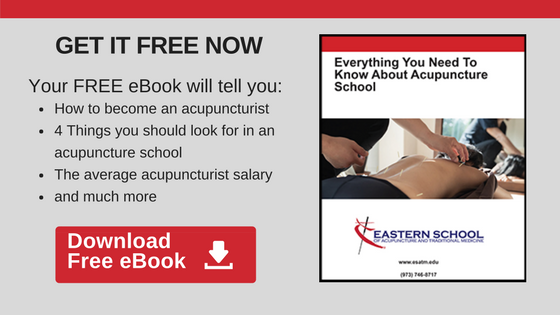 If you’re in acupuncture school working on building a career in contemporary medicine, you’ve taken the first step. As with most professions, one of the keys to a successful career in acupuncture is being a successful student before you start practicing. Self-starting. Those who set out on a career in acupuncture are typically people who want to make a difference in people’s lives while running their own business. They’re self-starters, people who look for opportunities to do what they love, and then go out and make it happen. Whether it is in a private practice or working in a hospital or wellness center, the practitioner actually starts seriously considering their future career options as a student. Being cognizant of the philosophies of Oriental medicine. Effective acupuncture students understand and appreciate Eastern medicine and all of its beneficial elements. The principles were graciously passed down by those before us. To that end, they hold a high regard for this ancient medicine and other practitioners like themselves. They are aware of the important responsibility that comes with carrying on tradition and accept the challenge of guiding its evolution with respect. Eagerness to learn and continuing learning. Acupuncture student’s all have a minimum of 60 college credits and these credits vary in any academic topic. As an already experienced post-secondary education student, effective students of acupuncture are curious, and willing to learn. Compassion drives them. It is essential to cultivate compassion in both the teaching philosophy and in interactions with the community. Healers inherently believe that caring and giving to others are core values. Similarly, a successful acupuncture student will have a strong level of compassion, this compassion becomes a driving force for the practitioner. Enthusiasm. Thriving acupuncture students are bold. They do not fear change. They are driven to lead confidently and are pursuing a degree to do just that. These go-getters are usually a few steps ahead of others and blessed with the ability to see what lies ahead on the path they’re on. They look forward to making a real difference in the lives of others. If you’re the type of person who has an interest in helping others and the initiative to discover new ways to do that through Eastern Medicine, you’ll fit right in with the students who are already using these qualities to their advantage.